Noel is The Entrepreneurs Academy Director of Training, Online Programme Design Advisor and Mentor, having worked with The Academy since 2010. Passionate about helping people to be the best version of themselves, he has trained extensively in the USA under New York Times No. 1 best-selling author and leadership expert, John C. Maxwell. Noel is one of four John C. Maxwell Certified Coaches in Ireland, exclusive to The Entrepreneurs Academy, delivering the very best leadership licensed content to entrepreneurs, business owners, large corporations and their teams. Noel specialises in the fields of leadership, social and digital media, and presentation skills delivering IT, communications and business solutions to companies of all sizes. He actively manages social media campaigns for a number of key clients and is recognised as being one of Ireland’s leading social media trainers and influencers. A successful entrepreneur himself, Noel is one of the most highly regarded and sought after trainers and leadership experts in Ireland. Drawing on personal experience in the marine leisure and computer industries, communication and technology industries, as well as confectionary, hospitality, horticulture, retail and leisure industries, Noel has a proven track record to make leadership skills and social media marketing easy to understand and integrate into business directly impacting the bottom line of thousands of companies. 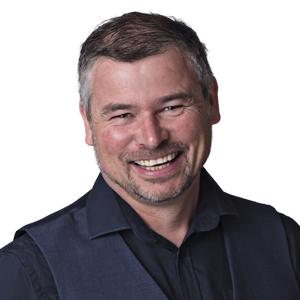 Through his customised training, Noel expertly brings start-ups, business owners and their teams through the challenges of successfully leading themselves and their business, so that they can reach their maximum potential. Noel is a seasoned MC and keynote speaker, who is in high-demand. He presented at the TEDxNHH in Norway, as well as many other prestigious events.